Almost wordless: During the last cold spell I noticed a sparrow that looked a little larger than the usual House Sparrows that hang out at my feeder. It was an American Tree Sparrow. Notice the spot on the chest, the rusty cap, dark feet, and the bi-colored bill. They are migratory birds that spend the summer in Canada and winter in the US. They usually hang out in small flocks at the forest edge but will readily visit feeders. This little guy was here for a week, probably separated from his flock. Hope he found his friends. 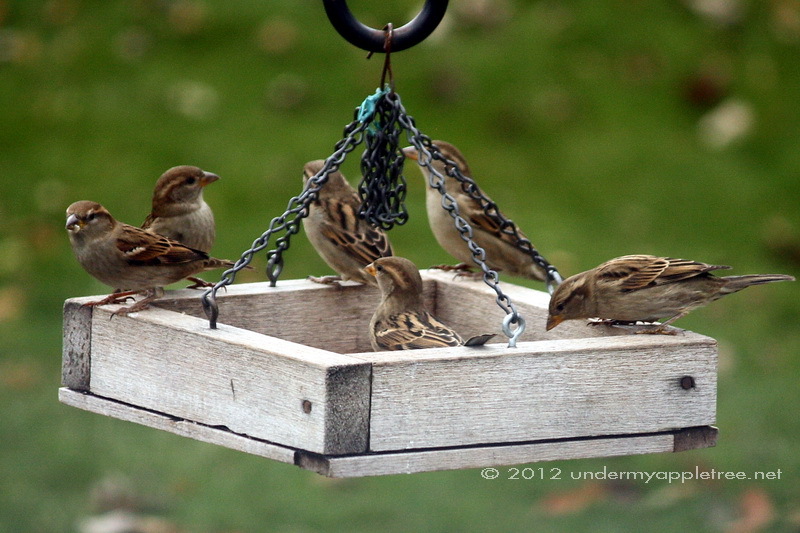 Now I have to check out my sparrows to see if I have any of these visiting the feeder. Aw, poor little guy. Great photo!